The Big One: the world's highest mountain, 8,850m (over 28,000 feet) of striated rock, ice, tumultuous falling glacier, unblemished snow, jagged ridges... and dead bodies. An ultimate target for most serious walkers, albeit tarnished by too many visitors. Stunning scenery all around in what is the absolute heart of the Himalayas, with many variations that enable you circuit in or out to escape the crowds on the best known trails and get up to miraculous viewpoints. This is tough walking in high, remote, capricious mountains, on which you will have to be self-sufficient and where altitude will cause real problems and can be fatal. Come prepared, and acclimatize properly. The Big One, undoubtedly one of the most baggage-laden places on earth, with myth often clouding reality. The world's highest mountain: 8,850m of striated rock, ice, tumultuous falling glacier, unblemished snow, jagged ridges... and dead bodies. An ultimate target for most serious walkers, albeit tarnished by too many visitors. The main trails are of course accordingly popular in high season, so less pristine than other parts of Nepal. 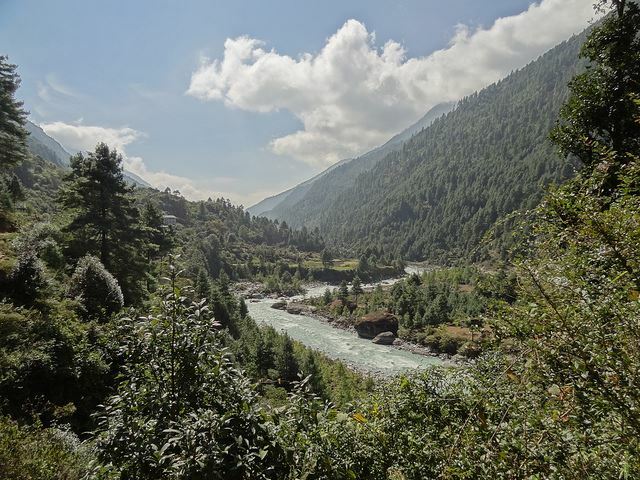 Stunning scenery all around in what is the absolute heart of the Himalayas, with many variations that enable you to escape the crowds on the main trails and get deep into some of the world's most miraculously beautiful scenery. 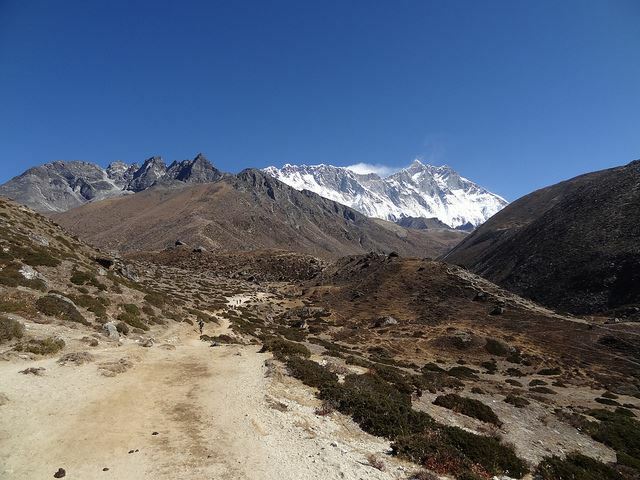 While Everest base camp has semi-mythical status, there is actually better, more rewarding walking (better views of Everest, even) to be had elsewhere, so if at all possible allow time to explore more widely into this glorious fastness. 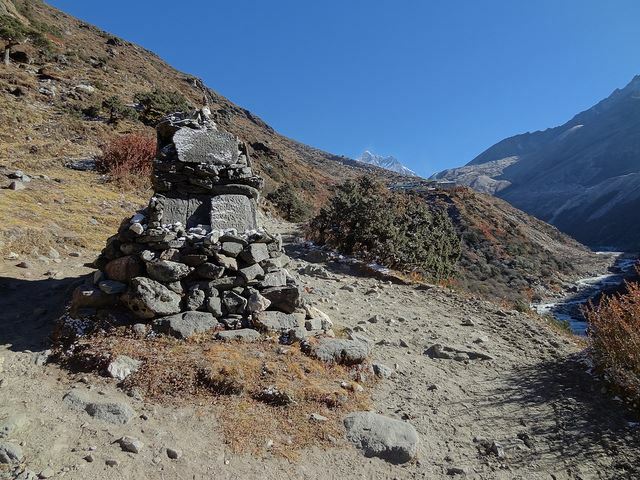 The trek is 14 days minimum from Lukla, but allow more if at all possible. The initial walk from the airstrip at Luka (2,806m) to the regional trading centre and hub at Namche Bazaar (3,420m) is a delightful, acclimatizing two days. 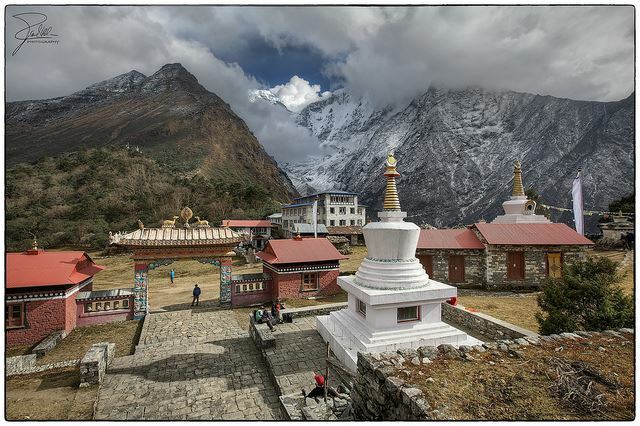 Consider an acclimatization day at Namche - there are some fine local walks, and much to do. The famous monastery at Tengboche (Thyongboche) (3,870m) is worth spending time in and around - another good place to spend a day acclimatizing. 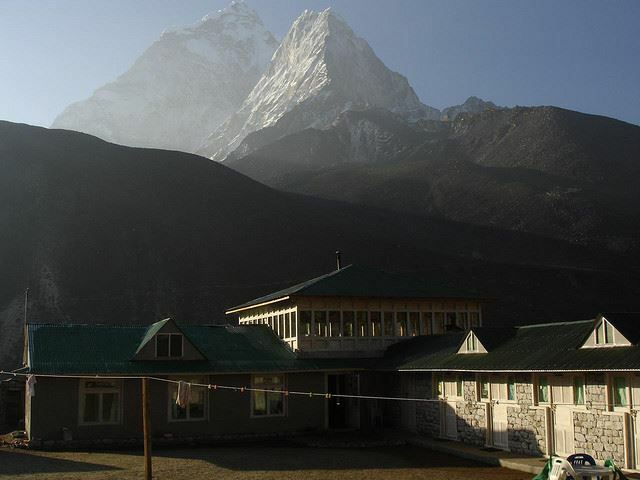 Acclimatize again at Pheriche or Dingboche (between 4,250m and 4,360m). It is then 3 days to Gorak Shep at 5,160m, below Kala Pattar (5,545m) an unlovely excrescence in itself but take in the viewpoint there, as BC does not itself have an Everest view. The final day to and from BC is a wearisome slog. 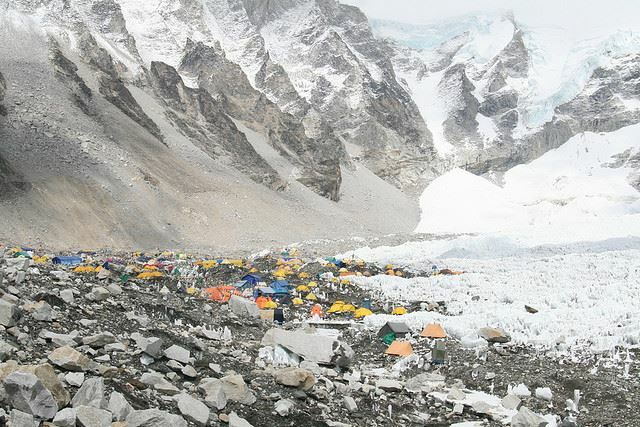 Base Camp can itself be deeply disappointing, a crowded mess (althought a lot cleaner since clear-up programmes have been instigated), so approach with some philosophy. But it is also thrilling and fascinating if viewed in the right spirit. A classic variant is to circle in or back through the amazing Gokyo Valley (18 days as part of Everest circuit), with its glorious lakes beneath Chu Oyu (great day walk to base camp), getting outstanding views from the passes of a sweep of huge peaks (the Renjo La to the west is said to have perhaps the best views in the whole area). Gokyo Ri (5483m) is a great day-walk trekking peak with superb views. Enormous glaciers abound. 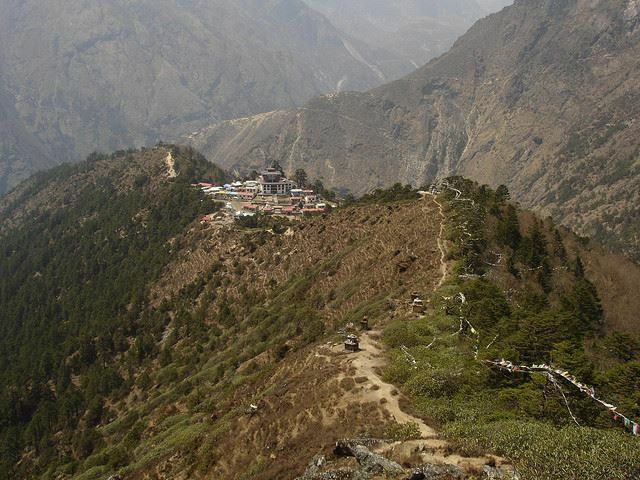 Jiri (or the closer Shivalaya) to Lukla or Namche Bazaar is the old walk in before the landing strip was built at Lukla. Lush countryside, friendly communities and almost no visitors in these lovely "lower" areas. It takes six days. Think of adding this acclimatization trek at the start of your Everest attack. Teahouse accommodation is available throughout, although camping will give you more flexibility. Remember that the altitude can cause misery and even death. It will undoubtedly detract from your enjoyment, although most still think that a major walk here is a high point of their hiking lives. You don't HAVE to do this, and slightly lower-level treks can be more unsulliedly joyous. Allowing time for acclimatization days en route is vital. The two weeks spent trekking to Base Camp and back were among the most amazing of my life. Despite the effects of altitude and general fatigue which increase as the trek goes on, the scenery and the warmth of the Nepalese people make it all worthwhile. The majority of us reached Base Camp and either cried or just collapsed in a chair with exhaustion. The feeling of achievement, for me at least, only really set in a couple of days later as we were walking back towards Lukla. Although it required quite a bit of training, and the trek itself felt a little like hell at times, the experiences gained are absolutely incredible and well worth it. I would love to do the trip again some time - it was just awesome. A group of 6 friends did this in 96, with World Expeditions. We did the circuit via Gokyo Ri rather than the 'there and back' again main trail, and reached Kala Pattar and slept at Gorak Shep rather than the actual Base camp. One of us (the fittest) got altitude sickness, 1 day above Namche, and had to be taken down to the hospital at Dingboche. This circuit joins the main track at Tukla, after crossing the Cho La pass, which was even tougher than the rest of the walk. I had a headache continuously above 3000m, until we started descending, and lost my appetite, partly due to the rather unexciting diet of cauliflower and garlic soup. Mind you, descending was great fun, one big party. Being walking-fit was crucial, you've got enough other things to think about without having to deal with blisters or sore muscles. We went in late December and were dead lucky with the weather, we had clear skies and not much wind. 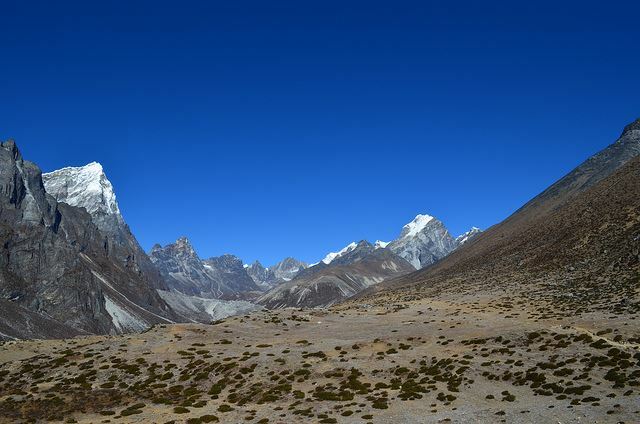 The trek in the direction of Mt Everest base camp (but skipping the base camp) is an amazing trip! 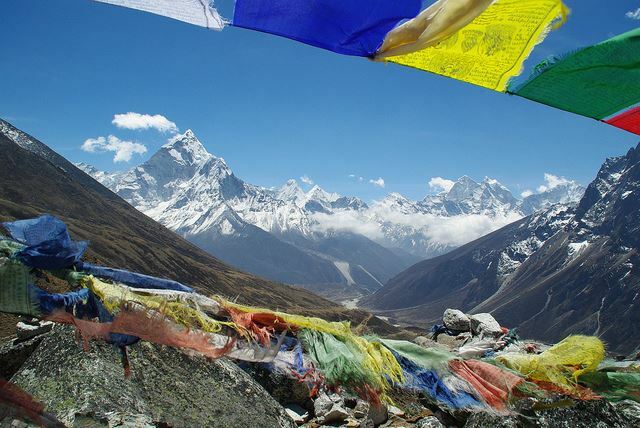 The Gokyo valley and the Chukkung valley are spectacular and you are IN the mountains, not just looking at a view. The Sherpas are hospitable. I can't believe this is not one of the top two treks in the world on your list! From Mountain Mart Trek "The Everest Base Camp trek takes you from the airport at Lukla after 35 min short Mountain flight from Kathmandu, through Sherpa villages over countless ridges, closer to the ice-giants than any other trail. Mountain Mart Trek adventure team has designed this trek to minimize the risk of Acute Mountain Sickness (AMS), including two rest days. 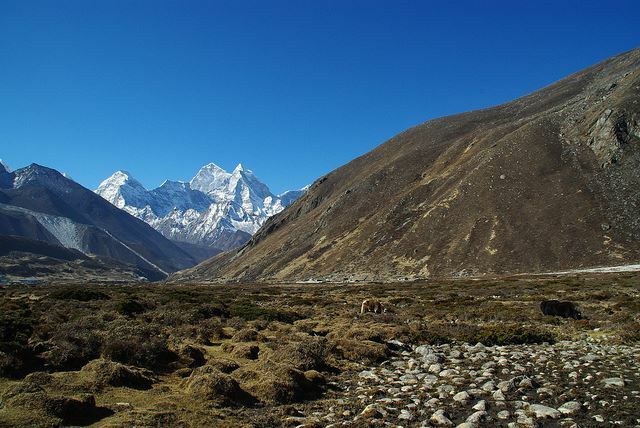 On the rest day, we will visit the Everest National Park headquarters with interesting displays of local flora and fauna and of the culture of the Khumbu Sherpas: plus the first views of mighty Everest. 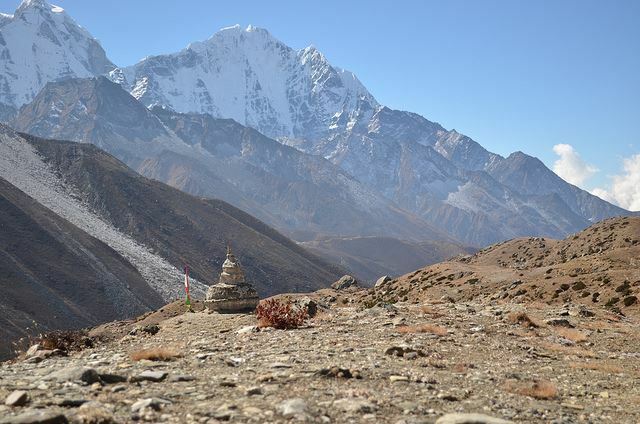 An afternoon walk to the large village of Khumjung offers a unique and authentic experience of Sherpa traditional life in this unforgiving territory and magnificent views of Thamserku, Kangtega, Ama Dablam (The Jewel), Island Peak plus Everest together with Nuptse and Lhotse. 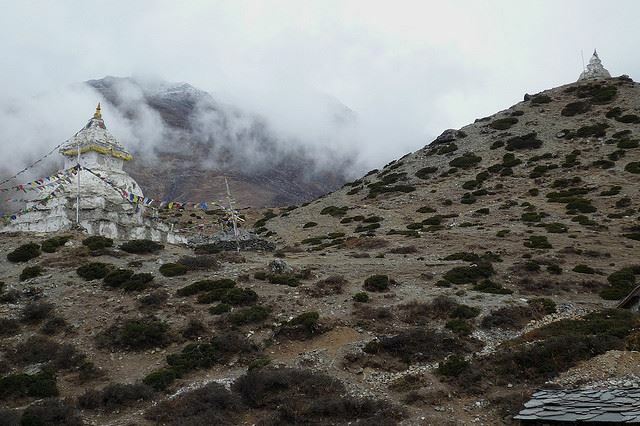 Continue to the hilltop village of Tengboche and visit their Buddhist Monastery. Then Pangboche and Dingboche, another acclimatization stop: walk to Nangkartshang Hill for fitness and oxygen intake at the higher altitudes and unparallel views of the Ama Dablm, Lhotse – Nuptse glacier . As the altitude rises, the temperature drops; forests give way to alpine scrub, rock and ice. 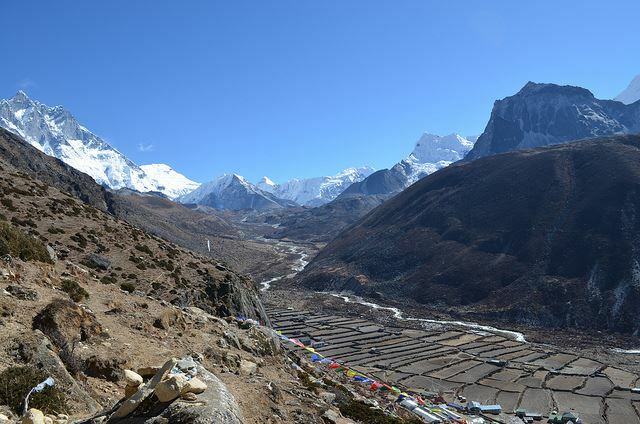 The last village is Gorak Shep: walk to view the ring of peaks surrounding Everest Base Camp on the Khumbu Glacier – and the ice fall towards the summit. A sunrise climb up Kala Patthar offers superb views of Everest, the South Col, Nuptse and the glacier. After breakfast, begin the easier four day downward trek."